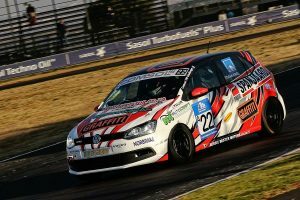 Spanjaard is proud to be the title sponsor of motorsport privateer/race driver Stiaan Kriel, who has been leading the Comsol VW Challenge Class A Championship Series. Stiaan is a self-starter and self-made success as he pushed ahead – and stays ahead – in the sport of racing. His focus on accelerating to top performance has been resolute from a young age as he started working while he was still in school to finance his education as well as his passion for racing. Stiaan’s motoring journey began as he took to racing oval track cars. Today he is no stranger to keeping cars like his Volkswagen Polo 6R running as top speed machines, as he builds and prepares his own race cars. Just like his deliberate approach to race strategies, Stiaan has worked with a clear purpose to get to the top of the grid. 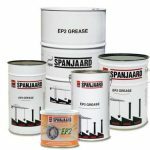 The fit with Spanjaard is spot on as the manufacturer leads on its industry grid with proven special lubricants and allied chemical products. Spanjaard is excited to be on Stiaan’s support team and to stand behind fresh talent in the racing sphere. 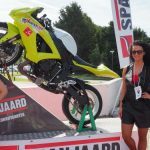 Spanjaard will stay in top gear in its product delivery and innovation to keep exceptional sportsmen and women like Stiaan taking corners and speeding down straights with confidence.